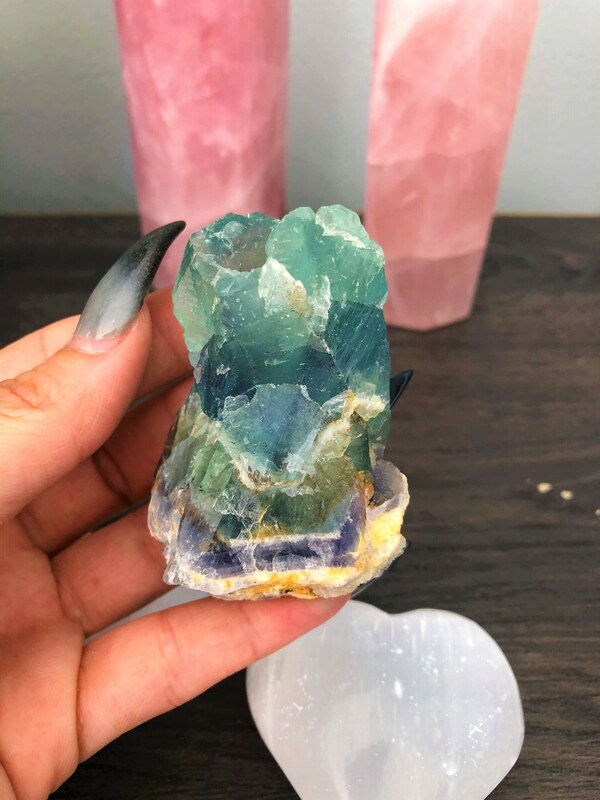 Receive this Beautiful and unique, raw rainbow fluorite crystal that has unique looks at every angle! A perfect center piece that naturally radiates immense peaceful, calming energy. Perfect for home or office. One of the most powerful fluorite healing properties is its ability to increase your level of focus. Helping to clear confusion and relieve stress. 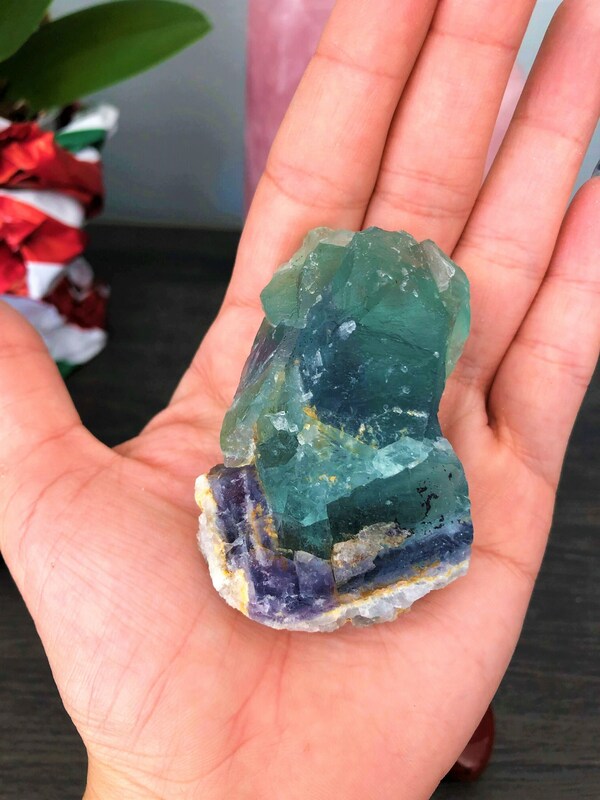 When you meditate with fluorite, it raises your energy level while increasing your concentration to deepen your meditation. It helps you to experience inner peace. 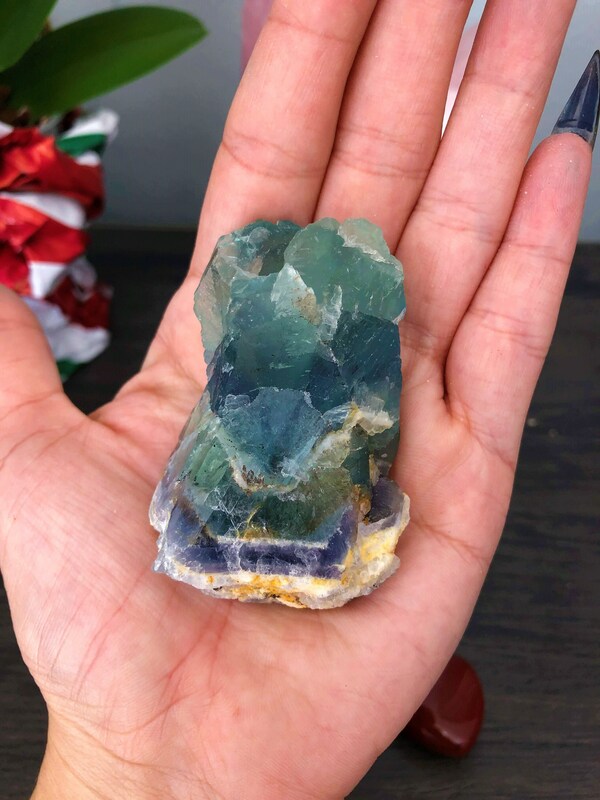 Mentally Fluorite is a strong intellectual and learning crystal, helping one organize information and increasing concentration. Excellent for students, at the workplace and at home too. It is a good crystal to use in order to coordinate the body and mind together. Emotionally it is stabilizing and helps balance mind and emotions. It is also excellent for releasing blocked grief and "getting over it" so that new growth can emerge. Purple Fluorite stimulates the Third Eye Chakra and brings some common sense to psychic intuitions. Use Purple Fluorite when you want to really focus on the expression of Spirit, and communicate precisely its messages. 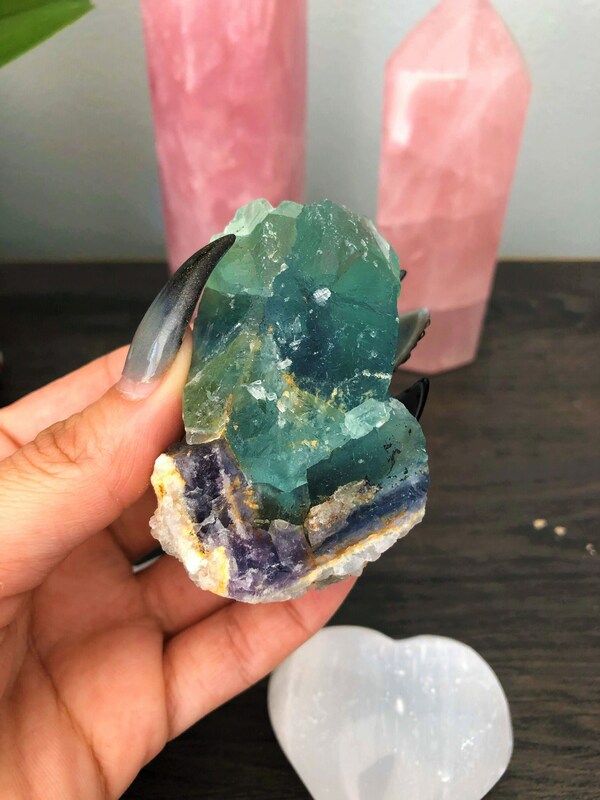 When you meditate with fluorite, it raises your energy level while increasing your concentration to deepen your meditation. It helps you experience inner peace. A perfect center piece that naturally radiates immense peaceful, calming energy.